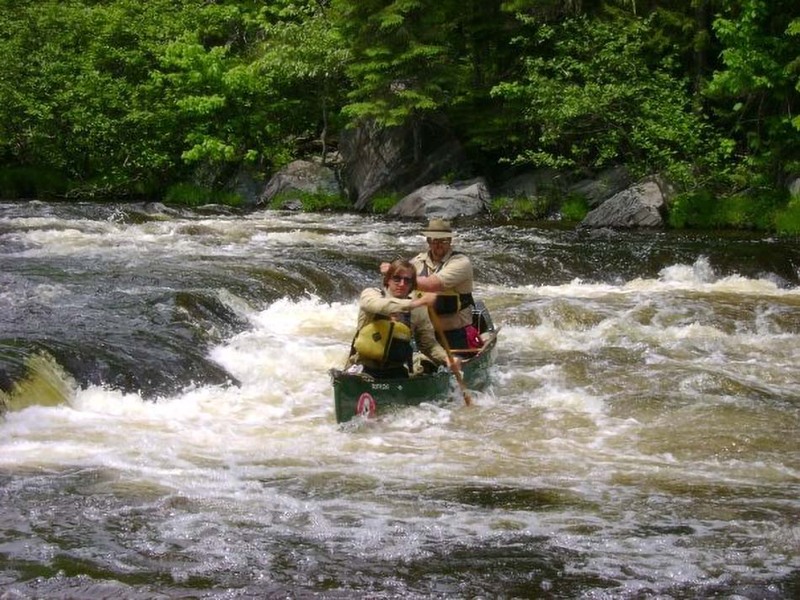 Webster Stream, traverses the rugged and challenging environment of the North Maine Woods, and is noted for its excellent whitewater and tremendous remoteness. 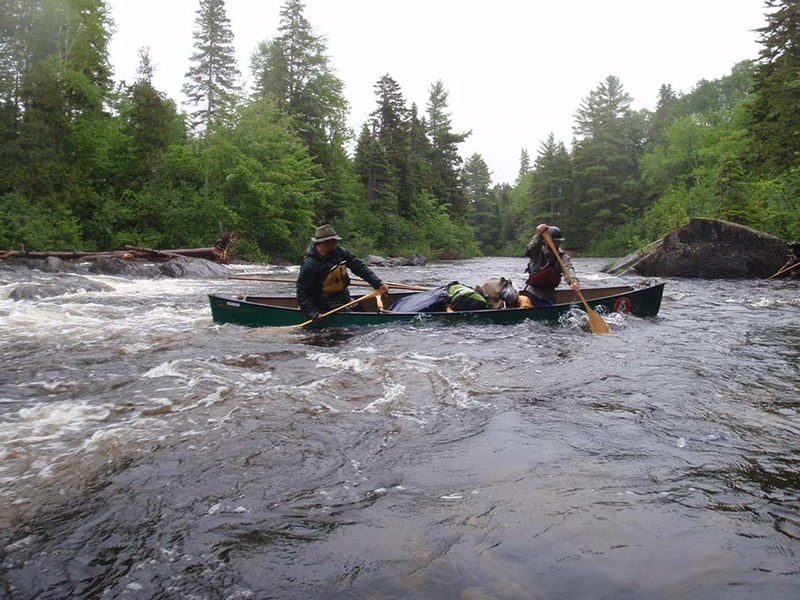 Canoe trips on Webster Stream will make the paddler feel as if they are on a true expedition and the river has a marked feel of being on a Northern Canadian trip. 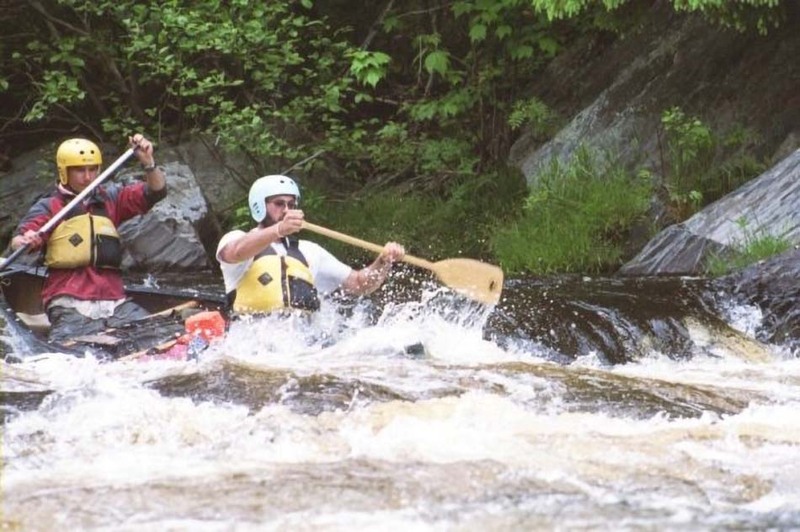 Smoking Rivers’ Registered Maine Guides will assist your group in successfully navigating Webster Stream and the days on the water in advance of Webster Stream will serve as great practice when it is time to paddle the whitewater sections of the river. Starting with three miles of continuous Class I-II whitewater, Webster Stream then mellows into three miles of quickwater and Class I rapids, a welcome respite to the previous miles and the miles that lie ahead. Fishing, particularly for brook trout and salmon, is especially bountiful in this section of river and we will assure there is ample time to cast a line and provide advice for anglers in the group. A Webster Stream Canoe Trip with Smoking Rivers is an excellent opportunity for a combination of excellent Brook Trout and Salmon fishing with lively Class II-III whitewater. 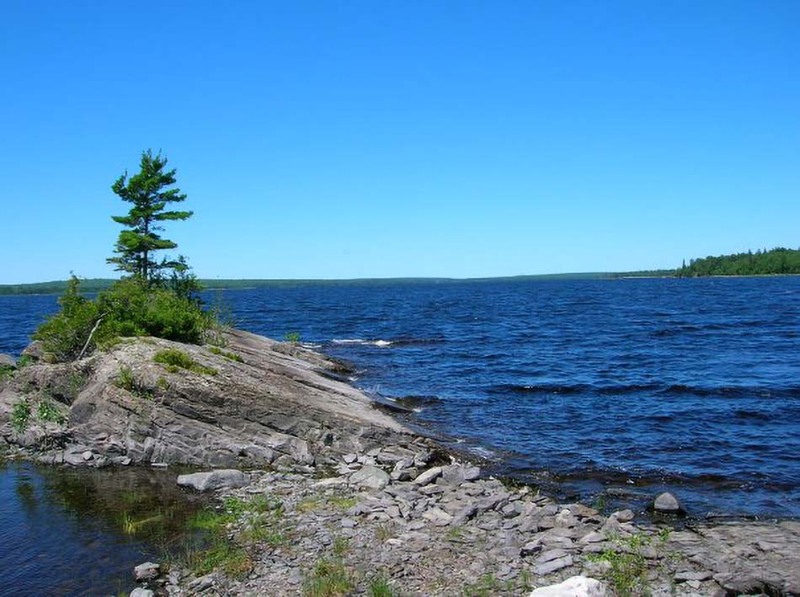 Canoe trips can be arranged with itineraries of four or seven days; four days allowing only the lower stretches of Chamberlain Lake and Webster Stream while seven days, our preferred itinerary, allows the entirety of Allagash Lake, Allagash Stream, Chamberlain Lake, and Webster Stream. Webster Stream is best paddled in May, June, or early July because it is heavily dependent upon spring run-off. Trips may be arranged later in the year as well but the best time to take advantage of the pleasures of Webster Stream, including its fishing and tremendous whitewater, is earlier in the season. Generally utilized as an early summer canoe trip, the historical importance of Webster Stream cannot be understated. Enhanced by industrious and ingenious lumberman in the 1800s, Webster Stream provided a vital life-vein between the northern reaches of Maine back to Bangor the lumber capital of the world in its hay day. 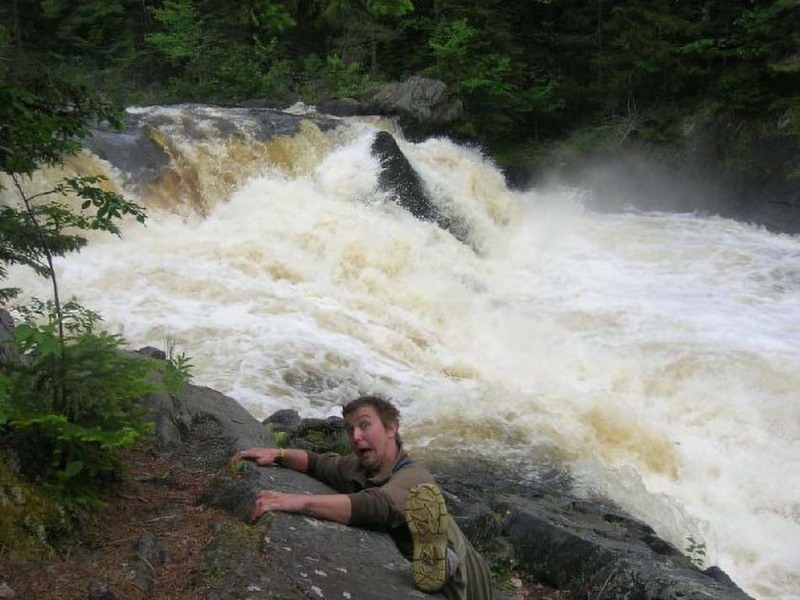 By 1840, much of the timber cut in the Allagash region of Maine, encompassing over 10 million acres, was transported by water through the treacherous and challenging whitewater sections of Webster Stream. Today, the historical remnants on Webster Stream remain and are discovered by intrepid paddlers on their downstream voyage. Smoking Rivers’ preferred Webster Stream canoe trip is a 7-day excursion that begins in one of the most remote reaches of the Allagash Wilderness Waterway, Johnson Pond. After traversing a shallow and marshy stream that is excellent for spotting moose and waterfowl, we will enter Allagash Lake. 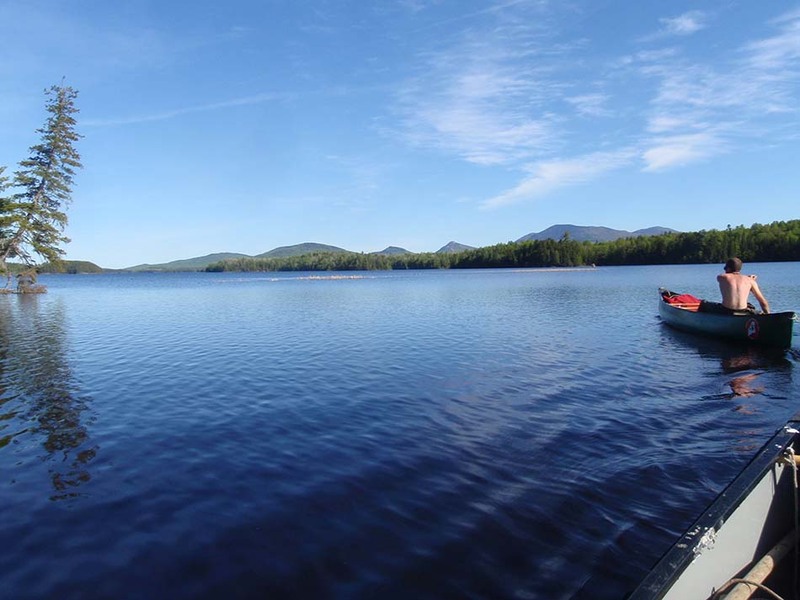 Highly regarded as one of the best trout fishing watersheds in the State of Maine, Allagash Lake is pristine and motor boats are prohibited from plying its waters. From Allagash Lake, the trip enters Allagash Stream, in its own right a challenging and tremendous whitewater stretch of river. 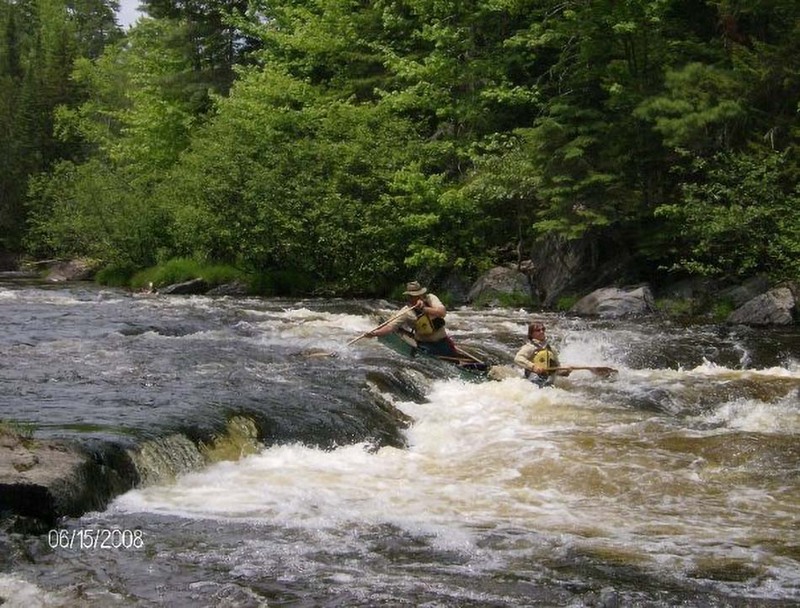 Only 9 miles in distance, Allagash Stream features several Class II rapids which will challenge even the most veteran paddler. 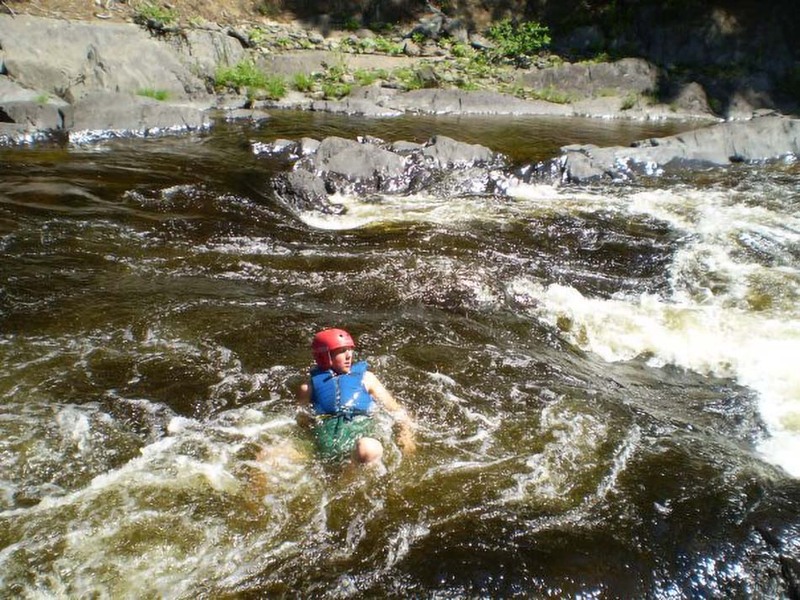 As always, Smoking Rivers and our Registered Maine Guides, experienced in the art of whitewater paddling, will help your group negotiate these rapids and instruct in paddling skills and strokes. 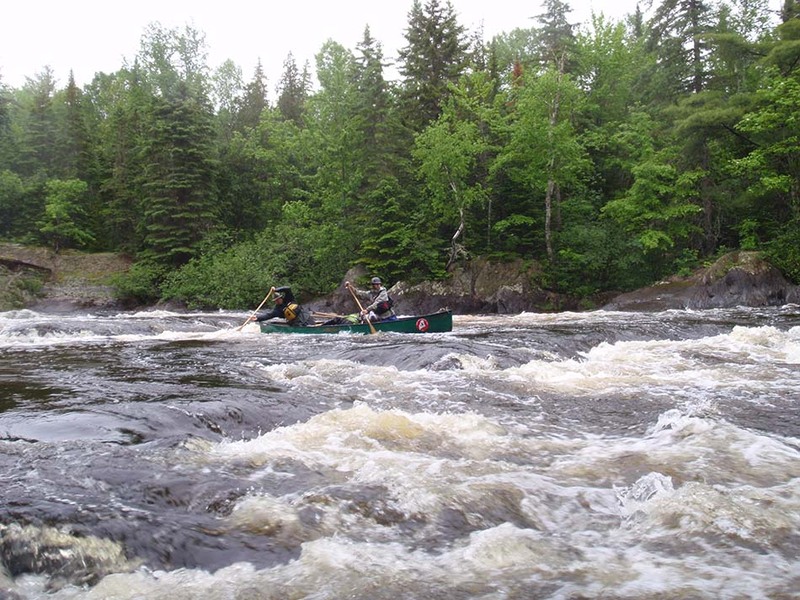 Allagash Stream is seldom paddled except by those seeking a true adventure and this portion of the trip is highly regarded for its opportunities to view moose and American Bald Eagle. Chamberlain Lake is reached upon the culmination of Allagash Stream and paddlers are welcomed to the vast, sweeping views of Chamberlain Lake. Upon reaching Chamberlain Lake, we will cross underneath the remnants of the Eagle Lake & Umbazooksus Railroad, where a trestle that was built over 100 years ago remains, heralding the entrance into one of the largest and deepest lakes in the North Maine Woods. We will paddle nearly the entire length of Chamberlain Lake on our way towards Webster Stream and will have the opportunity to glimpse American Bald Eagle, Loons, and multiple species of waterfowl. 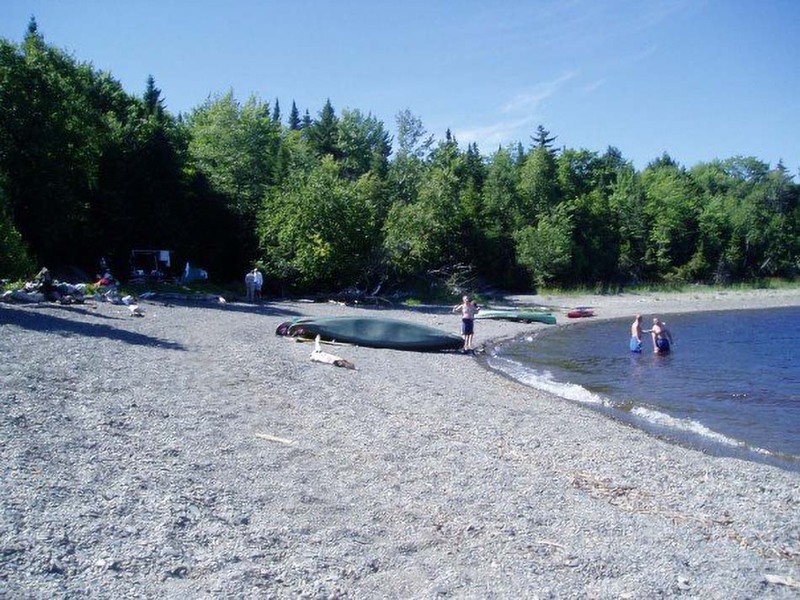 Its sandy shores offer tremendous camping opportunities and our schedule allows us ample time to enjoy the tremendous stargazing, fishing, swimming, or simply relaxing opportunities that are possible on Chamberlain Lake. Chamberlain Lake begins its descent towards the Penobscot River watershed with a sharp right-turn into Telos Lake. We will cross beneath a bridge at Chamberlain Thoroughfare, with stunning views of the mountains of Baxter State Park towards the south. One of the most scenic vistas available on any canoe trip in Maine, we will take ample opportunities for photos of this tremendous view as we begin our voyage towards Webster Stream. 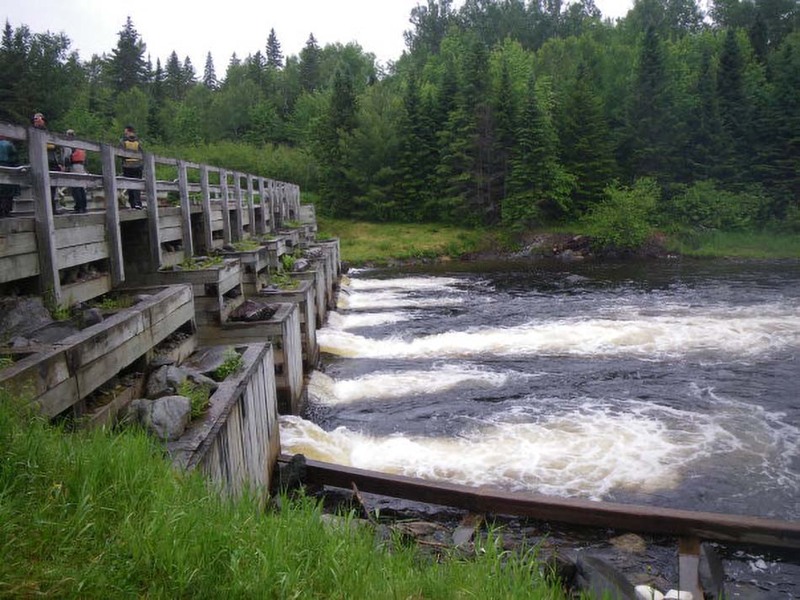 At the outlet of Telos Lake, we will encounter Telos Dam and Telos Cut, two of the most historic man-made features in the North Maine Woods. 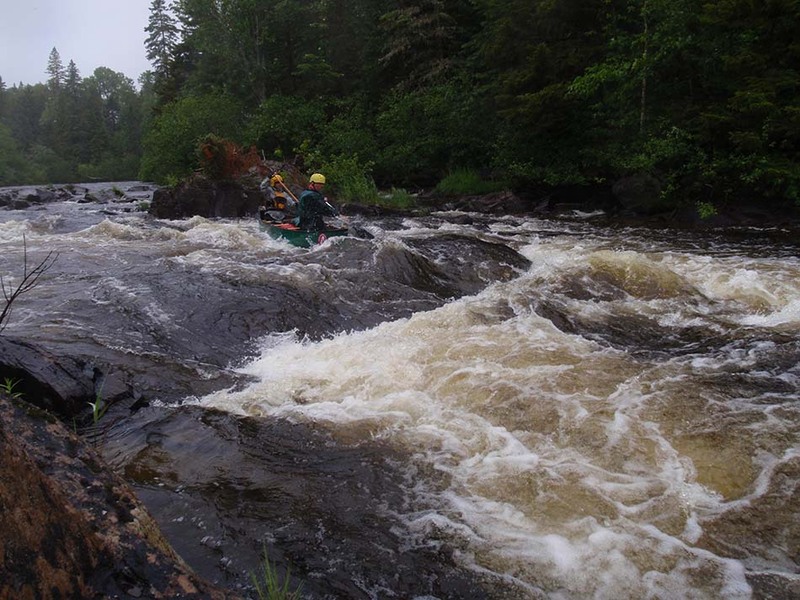 The famed Telos Cut, constructed originally in 1813 to control river flows on Webster Stream is a 3-mile section of river that was created by the industrious lumbermen of the 19th century to connect the northern reaches of the Allagash River to the logging metropolis of Bangor. Armed with dynamite, pick-axes, and determination, the lumbermen of this era created the Telos Cut, which today still connects too major water sheds and makes our trip on Webster Stream possible. The Telos Cut flows directly into Webster Lake, a spring fed and extraordinarily clear lake that has no vehicular access. Surrounded by expanses of fir and spruce forest, Webster Lake is a favorite of many in the North Maine Woods for its true remote feeling and its difficulty in access. Noted for its superb trout fishing, Webster Stream canoe trips with Smoking Rivers will always include a night at this beautiful and serene location. Webster Stream begins at the outlet of Webster Lake with three miles of moderate Class I-II rapids. These rapids are your warm-up for the swifter and larger rapids that lie ahead through Webster Stream, encompassing nine miles of moving water through the North Maine Woods. Webster Stream itself is a very intimate waterway, less than a stone’s throw in width for most of the way, wildlife is particularly active throughout the river corridor and it is very common to see moose and even bear on the banks, particularly soon after setting out in the morning. Fishing for Brook Trout and Salmon on Webster Stream, particularly in May and June, is excellent. Beneath all the major rapids and waterfalls, anglers are encouraged to try their hand at catching these species, both of which are highly sought after. Depending upon hatch cycles, certain tackle and bait will work better than others; our Registered Maine Guides will assist in helping to match your tackle to what the fish are currently biting and help to make sure you are in an excellent location to catch a Brook Trout or Salmon on the remote Webster Stream. As on all of Smoking Rivers canoe trips, we pride ourselves on the cuisine offered and campsites are superb, nestled on the river bank and affording tremendous views of the terrain in which you are traveling throughout. It is not uncommon to hear the call of the loon or spot a moose in the early morning hours. Smoking Rivers Webster Stream Canoe Trip in Baxter State Park is particularly noteworthy as it is one of the most remote locations for a canoe trip in the State of Maine and it is seldom that other groups are encountered, lending itself to a very remote experience for our guests. 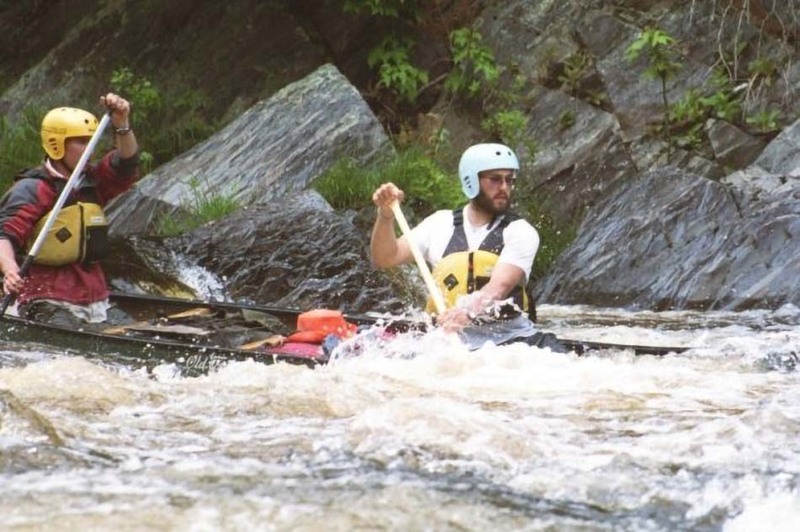 The Webster Stream canoe trip, after the continuous whitewater section and quick water section, culminates in three miles of Class II-II technical and demanding drops. Some of the most challenging sets of whitewater in the North Maine Woods, the whitewater begins with the Class II+ Indian Carry, named because the Native Americans would always carry their fragile birch bark canoes around this rapid. Today, with the advent of durable plastic canoes, we can run this technical rapid, albeit after thorough scouting and under the watchful eye of Smoking Rivers’ Registered Maine Guides. After the successful navigation of Indian Carry, the Webster Stream Canoe Trip continues downstream where you will encounter two more major rapids; the first of this is called Log Jam, a series of two distinct ledge drops where in the lumbering era, logs were frequently caught upon the sharp ledge rock embankments skirting the river on both sides. As always, we will take ample time to scout all rapids on this trip and safety is always Smoking Rivers top priority on these trips. 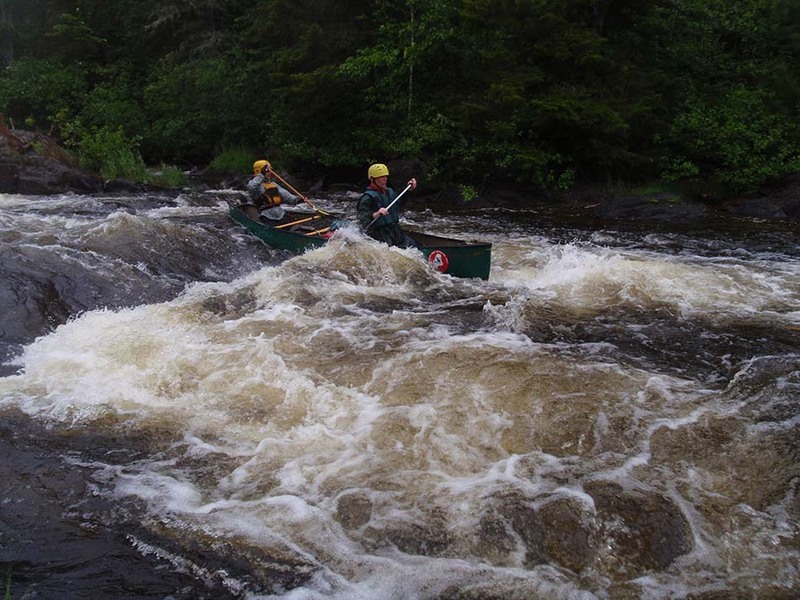 Those with past paddling experience will enjoy the thrill of running Log Jam, as it is one of the most technical rapids available on a remote Maine whitewater canoe trip. 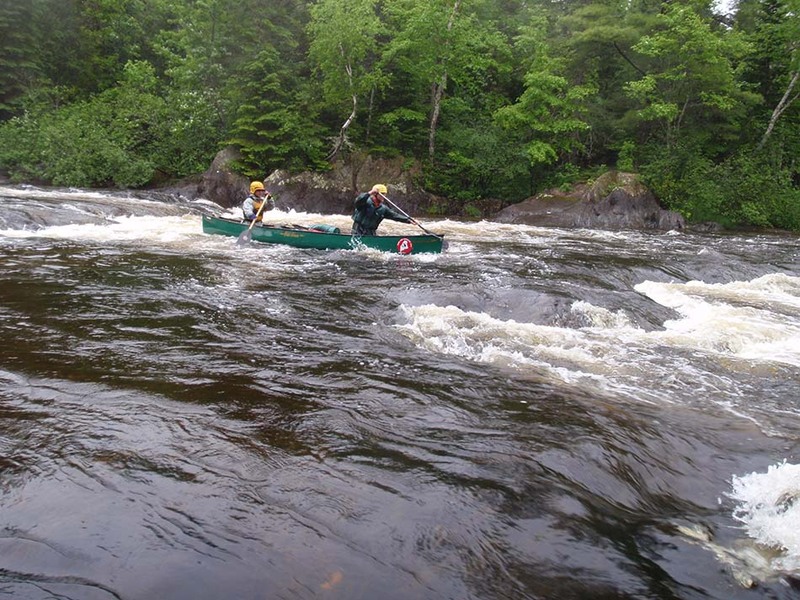 The final major set of whitewater on the Webster Stream Canoe trip is a rapid called S-Turn. Three separate sets of whitewater, S-Turn is another technically challenging run, of which we will scout all three separate drops. These are some of the biggest individual sets of whitewater on the trip and photo opportunities are ample for great action shots throughout each of the three sections of S-Turn. Below the nine miles of continuous quickwater and whitewater, Grand Pitch is encountered. Dropping over 35 feet, this majestic waterfall is a perennial favorite and afford tremendous opportunities to take photos or merely gaze at the powerful, rushing water as it passes only feet away. We allow plenty of time within our schedule to have an opportunity to sightsee, fish for Brook Trout and Salmon, or swim beneath the falls. Grand Pitch on Webster Stream is truly a highlight of our canoe trip and paddlers can easily spend hours at this beautiful waterfall gazing at its splendor. Beneath Grand Pitch, Webster Stream flows directly into Grand Lake Matagamon, a favorite of our Registered Maine Guides. 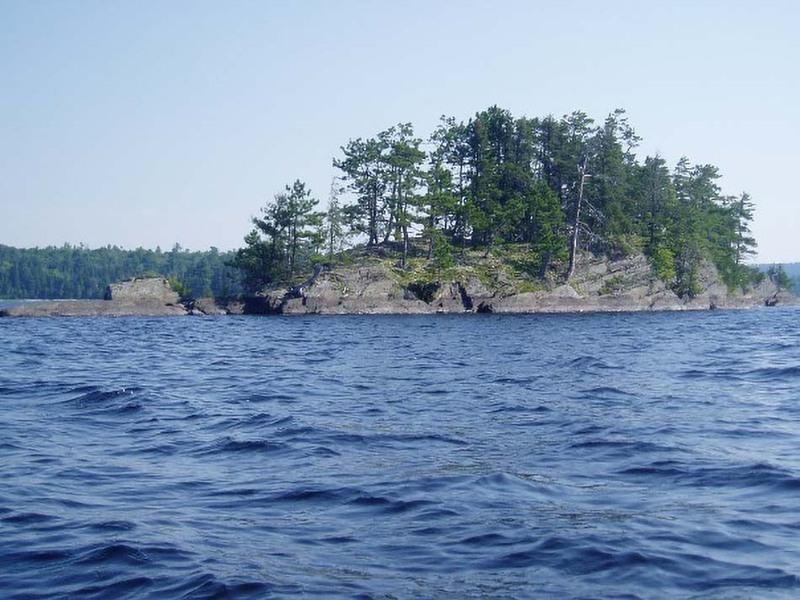 Dotted by innumerable small and craggy islands, Grand Lake Matagamon is 11-miles long. The views upon the north side of Baxter State Park and its numerous beautiful mountains are unparalleled. Smoking Rivers, Webster Stream canoe trip finishes on Grand Lake Matagamon beneath the stunning cliffs of Horse Mountain that rise directly off of the surface of the water and at the North Entrance of Baxter State Park, a tremendous way to end one of the best backcountry, whitewater canoe trips in the North Maine Woods.